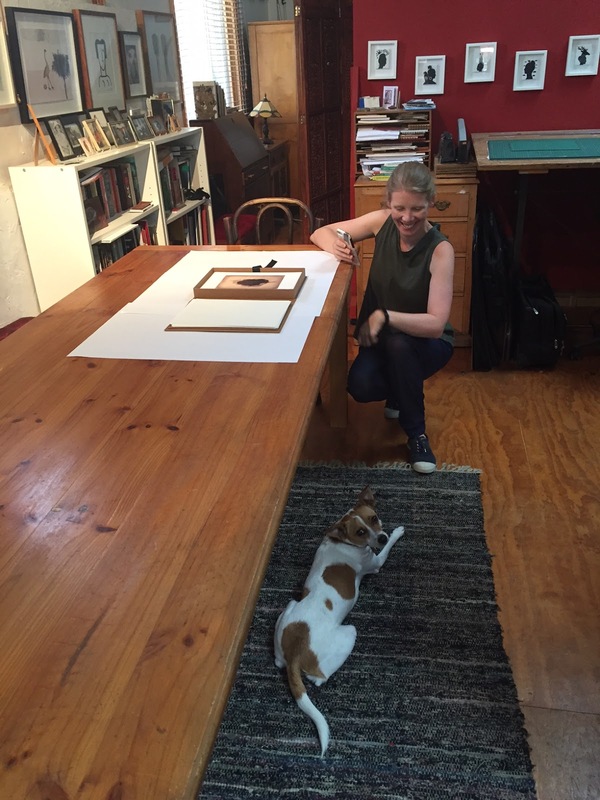 The three lino blocks pictured above are set to wing their way to Warrnambool (although strictly speaking, they'll be travelling in my suitcase). 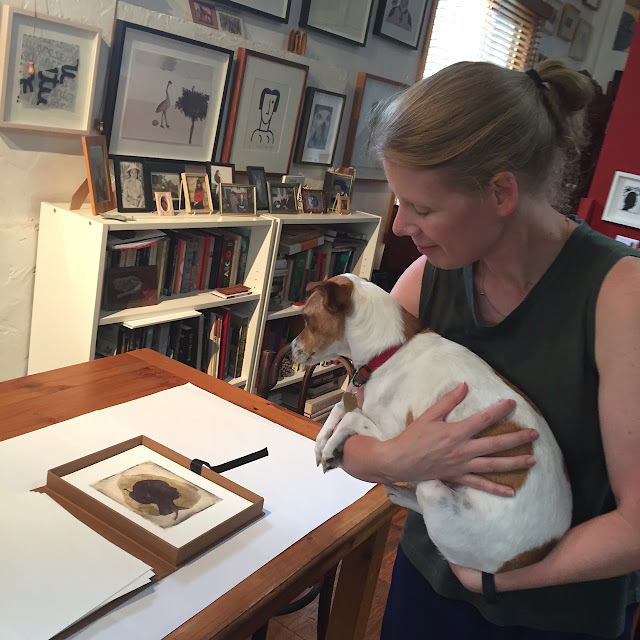 I'm giving a two-day linocut workshop there on the weekend and really look forward to working with the participants. 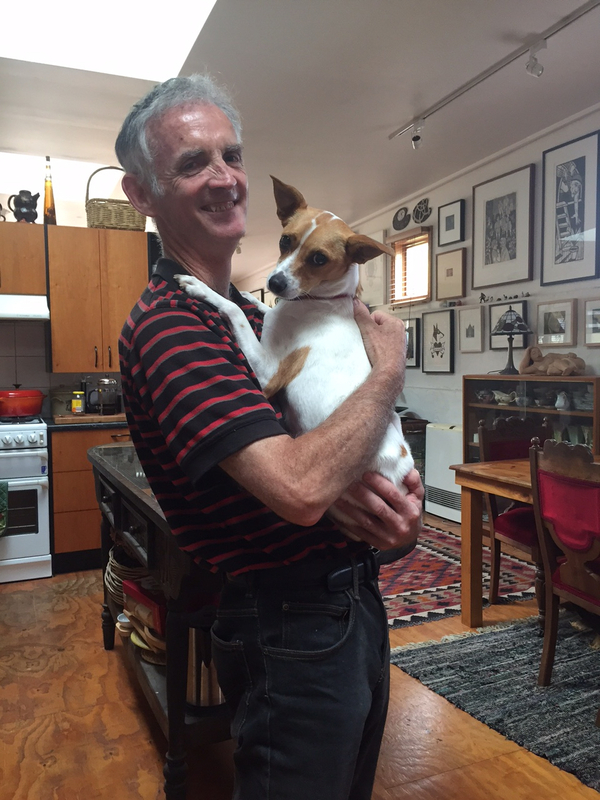 Workshop organiser Glenn Morgan tells me we have a full house. 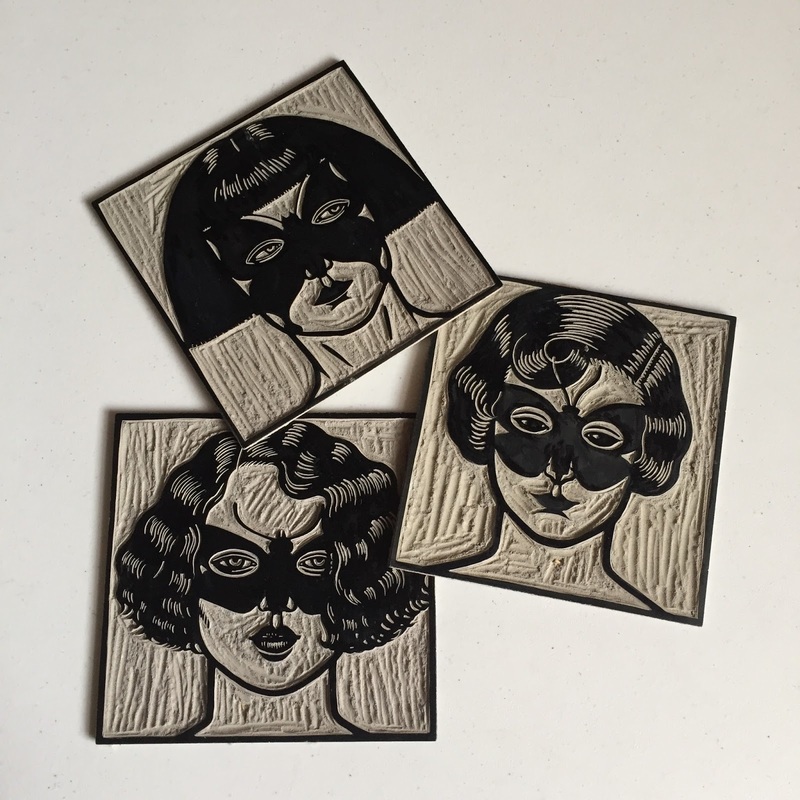 Also travelling with me is a group of Moth Woman Vigilantes lino blocks. 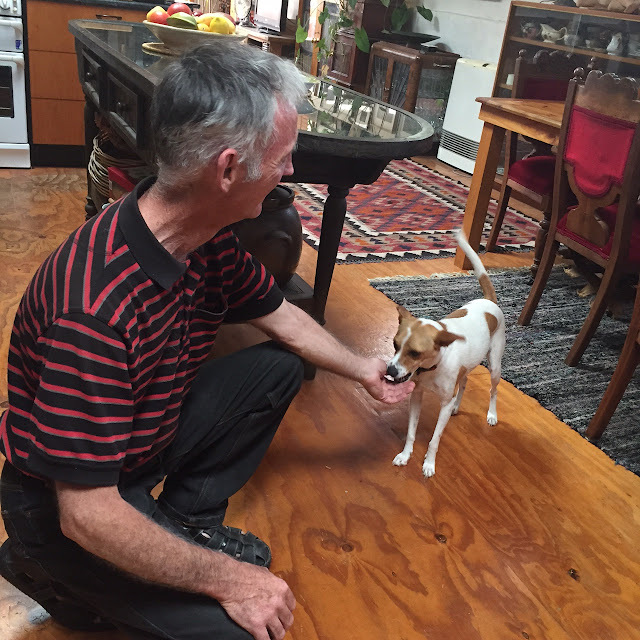 We’ll be working in a studio in the former Fletcher Jones Factory, now the site of a fabulous antiques and collectables market, that just happens to be one of my favourite places in Warrnambool. It’s just as well I’ll be working, as it’s invariably filled with temptations to which I have little resistance. Pictured below are a handful of highlight's from yesterday afternoon's spectacular 2017 Festival of the Photocopier Zine Fair at magnificent Melbourne Town Hall. Despite a number of conflicting events in our fair city, the turn-out was fantastic, with visitor numbers well into the thousands. 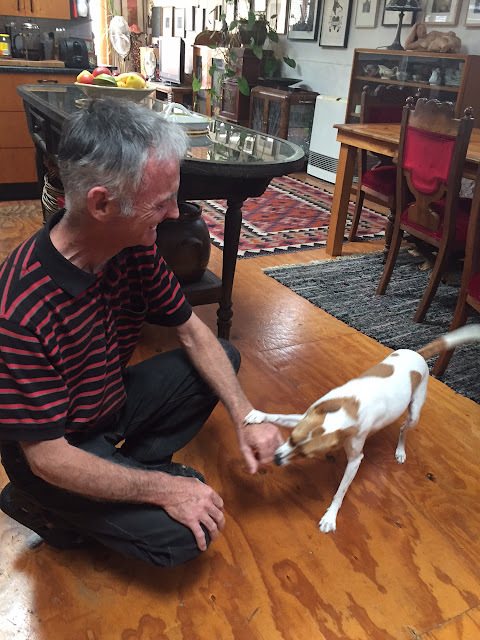 With Sticky Institute at the helm, support from the City of Melbourne, assistance above and beyond the call of duty from my partner, Shane Jones, and warm companionship from our stall neighbours, Gracia Haby and Louise Jennison, what could possibly go wrong? 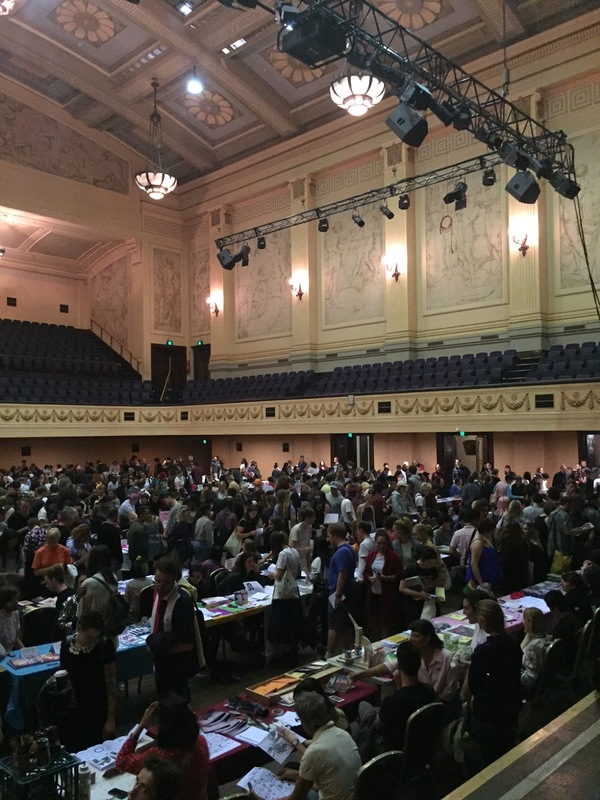 Well, thanks in no small part to Sticky Institute and the dedication and professionalism of our fellow stall holders, absolutely nothing did. 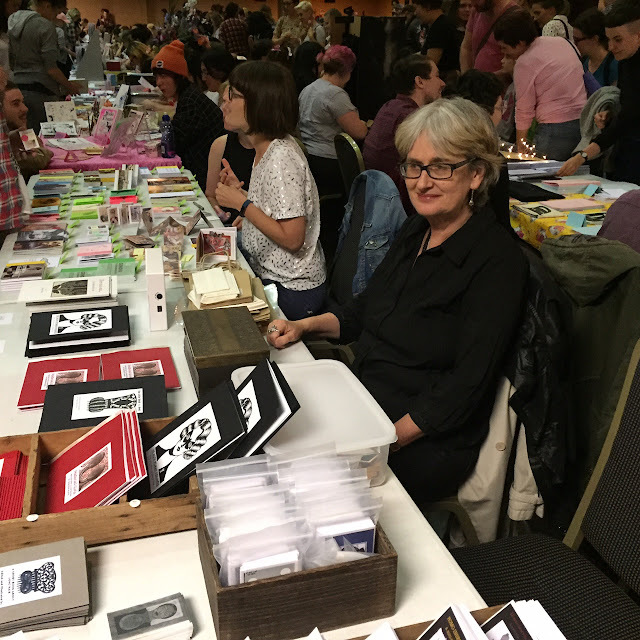 Pictured with some of my zines. To my right are Gracia and Louise with some of theirs. Photo: Shane Jones. 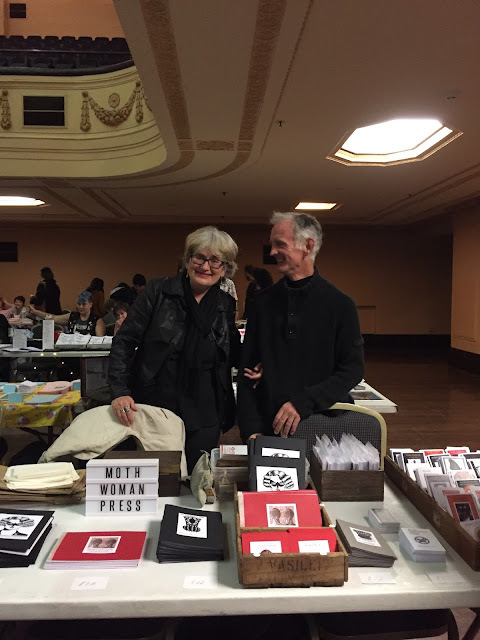 With the indispensable Shane Jones, minutes before the doors opened to a deluge of zine fanciers. Feeling justifiably proud of my new Moth Woman Press sign. Photo by Shane Jones. Gracia Haby and Louise Jennison. It seemed to us that the visitor count was even higher than last year. People continued to arrive in droves right up until the very end. It was a day to remember and treasure. Thanks so much to all of the above and to everyone who came along. 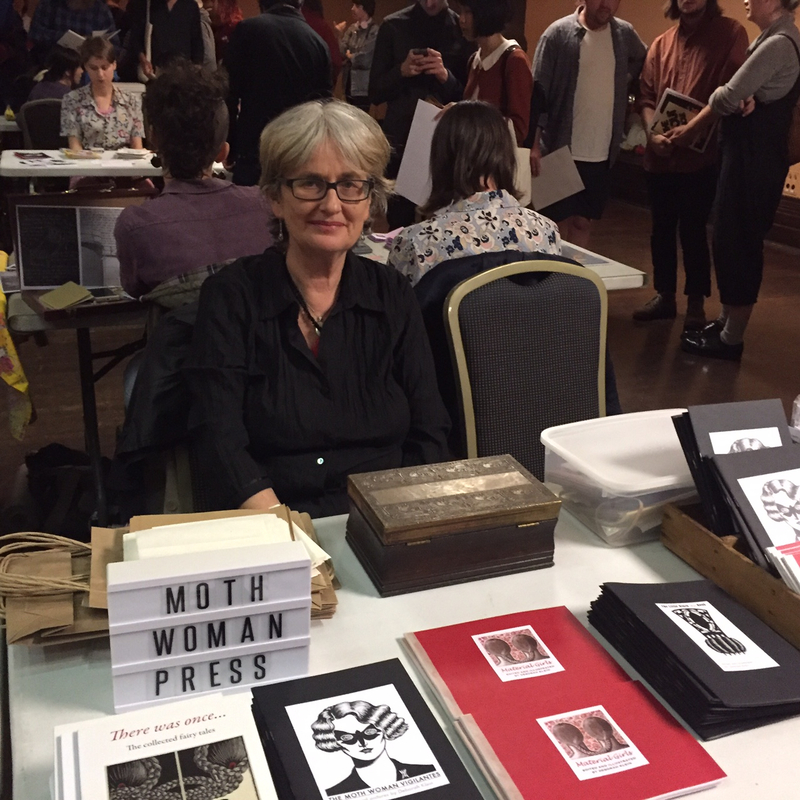 For a more detailed pictorial view of the Festival of the Photocopier Zine Fair, visit Moth Woman Press HERE. 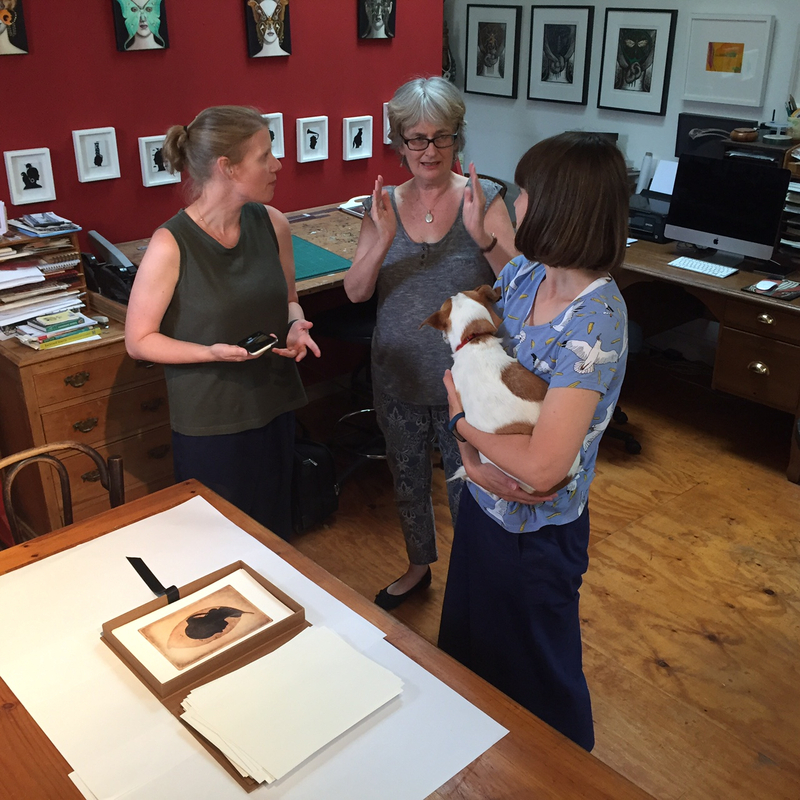 Goldfields Printmakers. 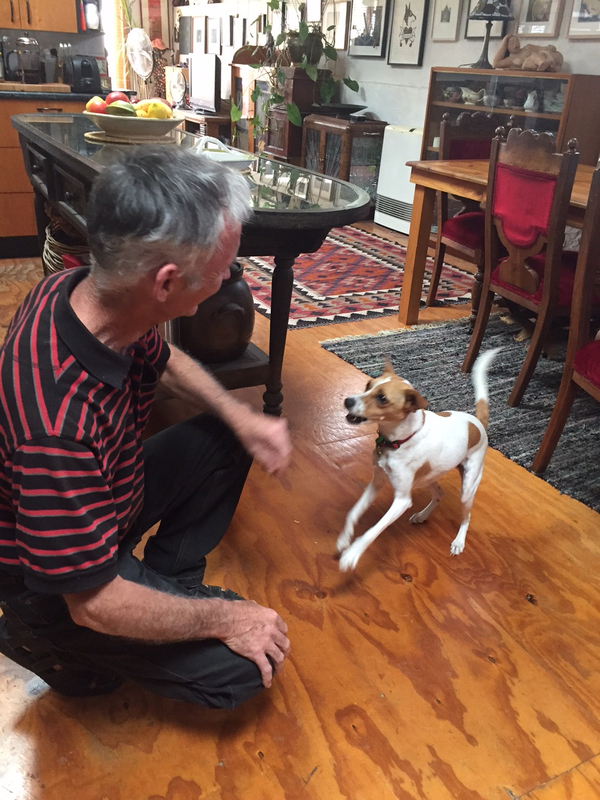 Photo credit: Shane Jones. 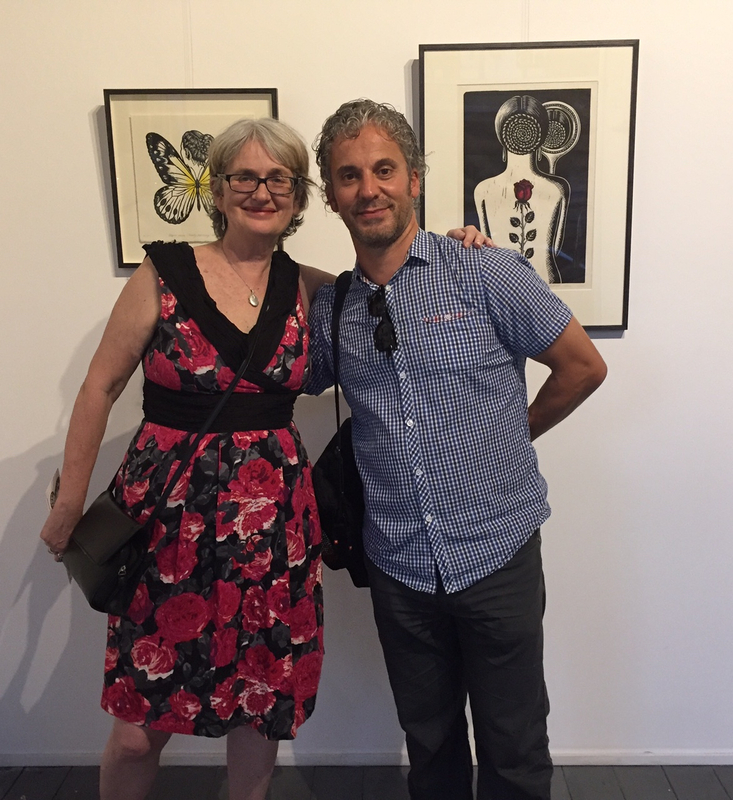 An oppressively hot night didn't deter the huge, lively and enthusiastic crowd at the opening night of EDITIONS 17 at Tacit Contemporary Art. 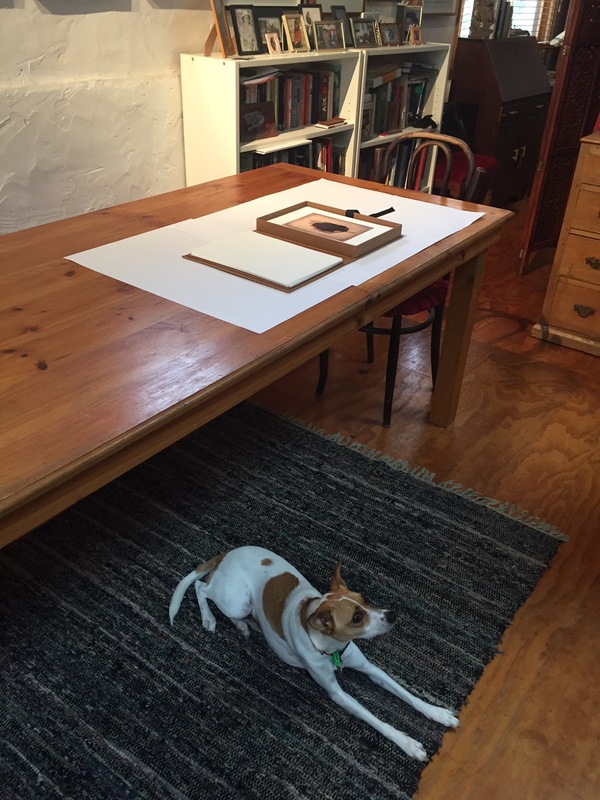 It's a great show, a must for lovers of print. 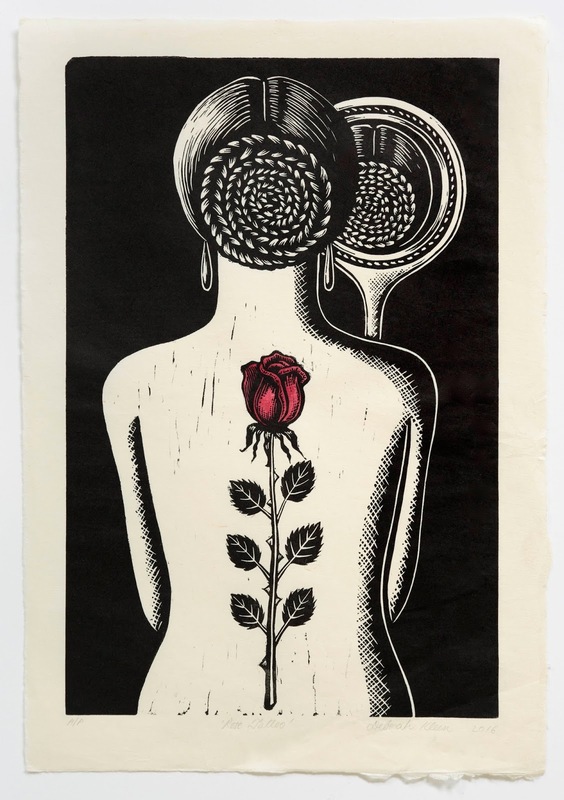 Pictured below is Rose Tattoo, one of three works I have in the show. 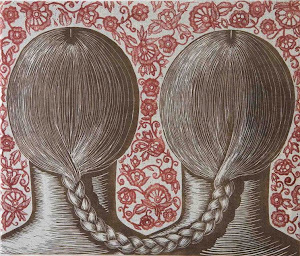 (unique state) 46.5 x 36.5 cm. Photo credit: Tim Gresham. The exhibition runs until 26 February. 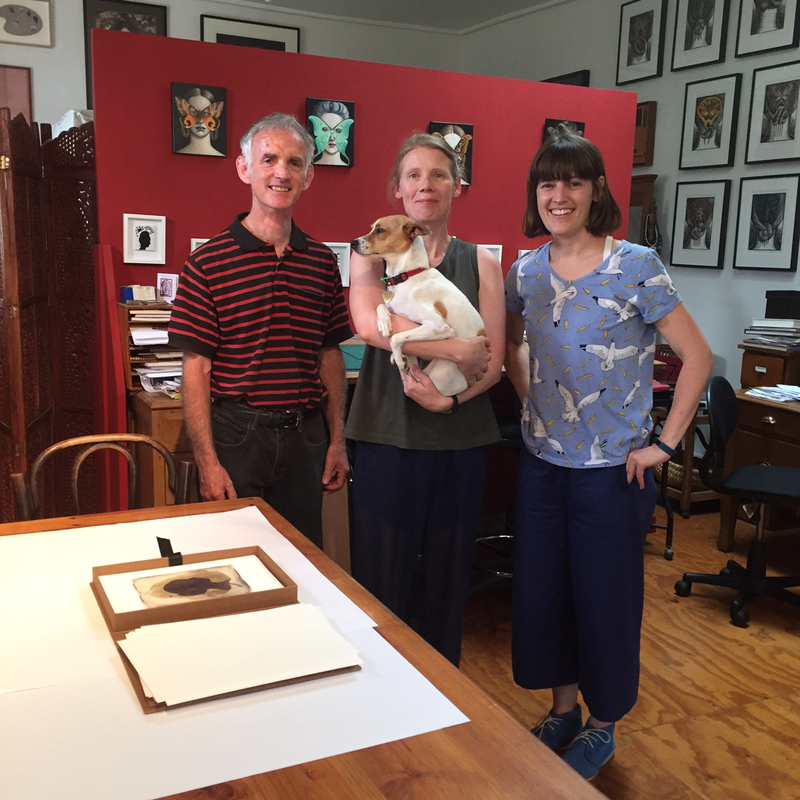 For Shane Jones and I, a highlight of recent weeks was a visit to our Melbourne studio from distinguished books and works on paper artists Gracia Haby, Louise Jennison and, by special request, their adorable dog, Lottie. 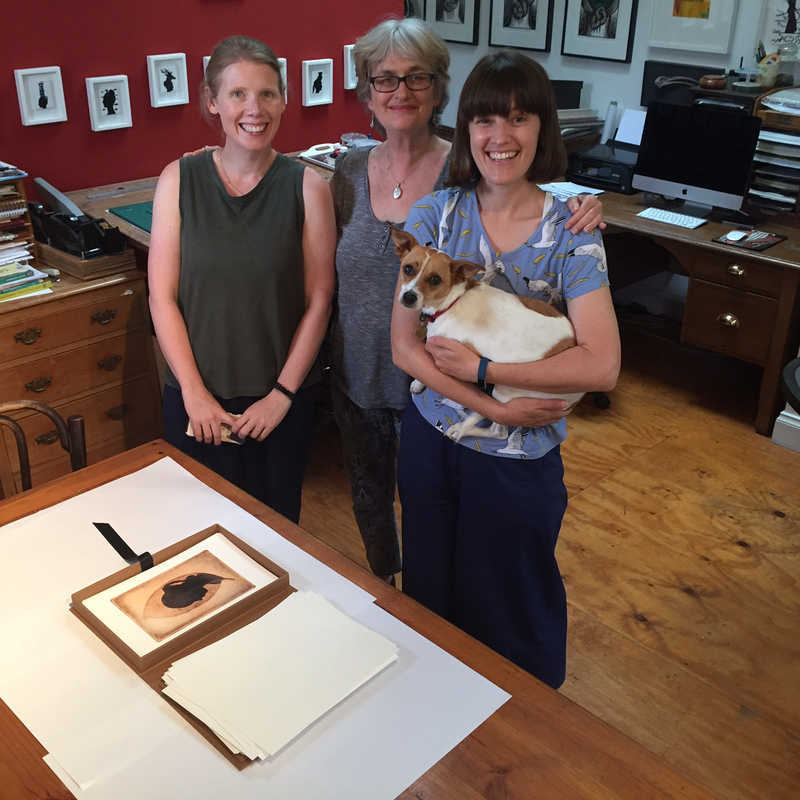 I had invited them all for a private view of my newly completed artist book, Leaves of Absence. Their support and sound advice throughout this project has meant a great deal. We are eagerly anticipating occupying adjoining stalls at next Sunday's Sticky Institute Festival of the Photocopier Zine Fair at Melbourne Town Hall. (See previous post). 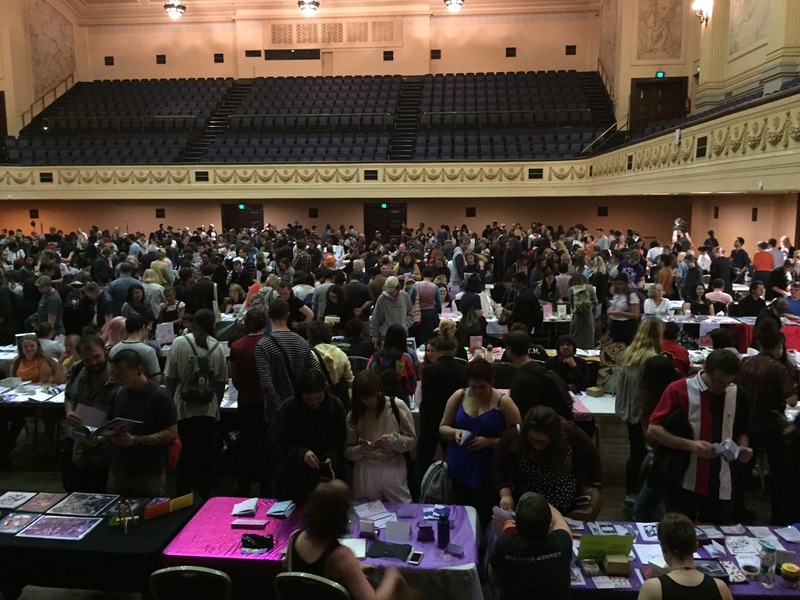 If it's only half as much fun as last year's zine fair, I know we'll have a ball. Lottie listens intently as Gracia Haby, myself and Louise Jennison discuss the finer points of artist book making. 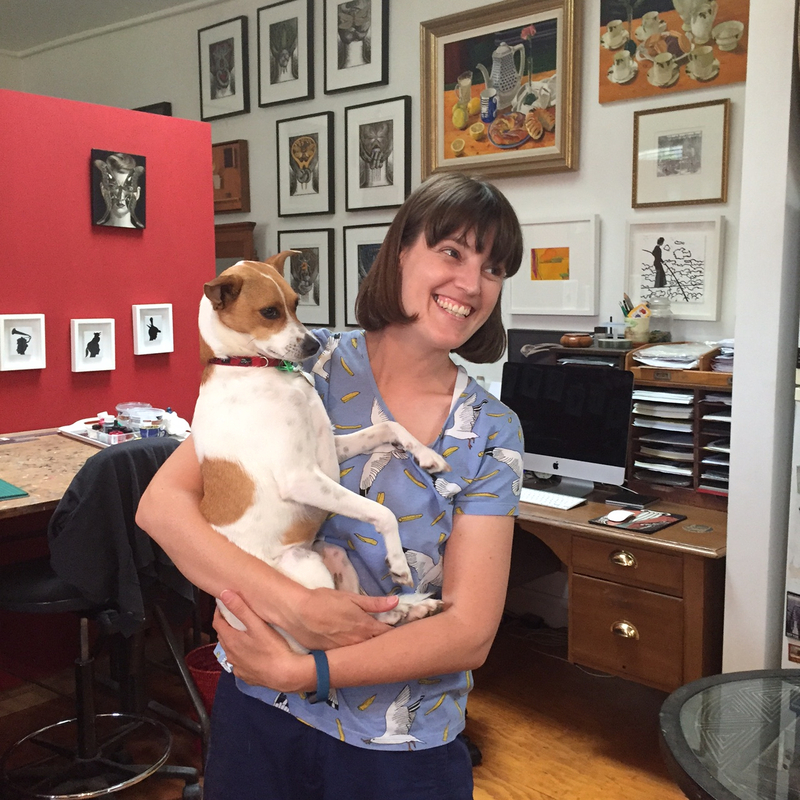 In recent weeks, most of our creative hours have been spent at Moth Woman Press, in feverish preparation for the 2017 Festival of the Photocopier Zine Fair at Melbourne Town Hall on Sunday week, February 12. 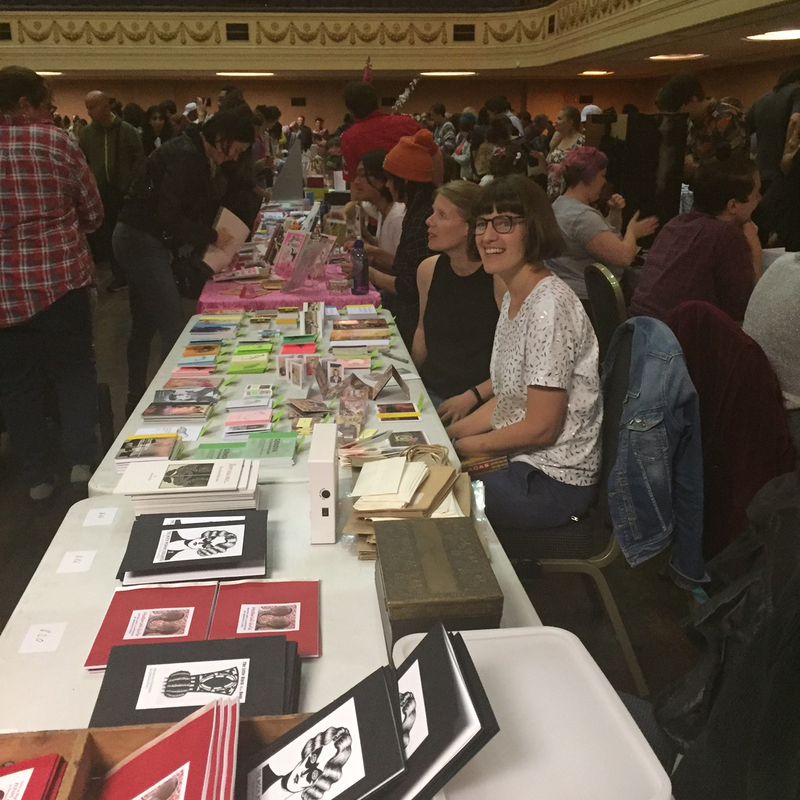 To the right of the poster above are three mini-zines I've made especially for the fair. They are (from top): Pressed for Time, Leaves of Absence and The artist's hand. 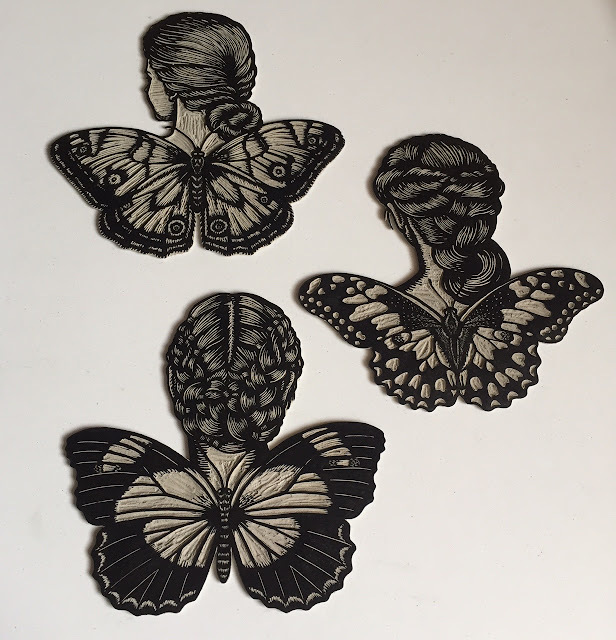 Accompanying them will be an extensive array of Moth Woman Press zines and mini-zines. To see some of my recent zine-related activities, go HERE. 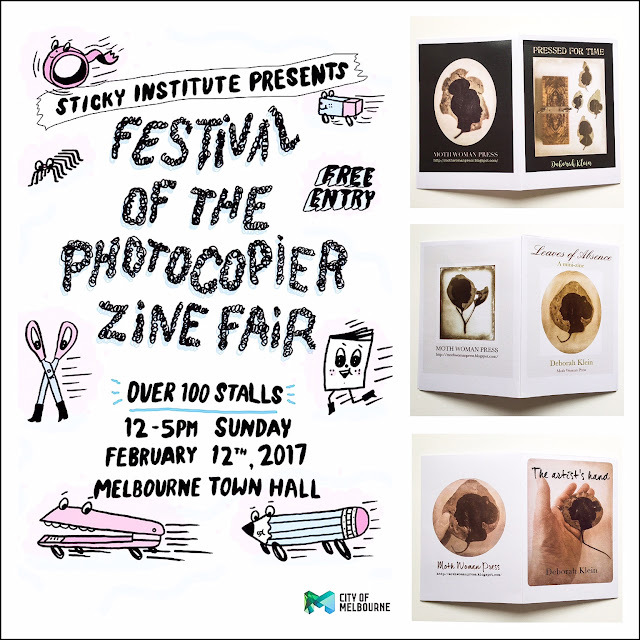 Better yet, come along to FOTP2017. Don't forget to stop by the Moth Woman Press table and say hello. 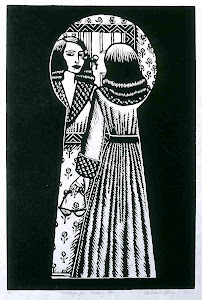 I have three linocuts in the show, including Dainty Paperwing Woman (pictured on the above invitation). Artists include: Elizabeth Banfield, T J Bateson, Louise Blyton, Peter Brown, Craig Daniels, Kevin Foley, Peter Garnick, Janet Goldman, Jackie Gorring, Carolyn Hawkins, Jodi Heffernan, Kate Hudson, Clare Humphries, Hyun Ju Kim, Kyoko Imazu, Lana de Jager, Shane Jones, Myra Kaufman, Marita Kelly, Michele Kershaw, Deborah Klein, Damon Kowarsky, Marion Manifold, Jane Marriott, Marie Mason, Malini Maunsell, Paula McLoughlin, Karen Neal, Marte Newcombe, Sharron Okines, Helen Oliver-Skuse, Diana Orinda Burns, James Pasakos, Catherine Pilgrim, Stephanie Jane Rampton, Libby Schreiber, Gwen Scott, Lisa Sewards, Beata Slifierz, Jennifer Smyth, Jan Stickland, Anne-Maree Taylor, Steven Tester, Yvonne Torrico and Joel Wolter. The exhibition continues until 26 February.